Enjoy the top 1 famous quotes, sayings and quotations by James O'Donnell. 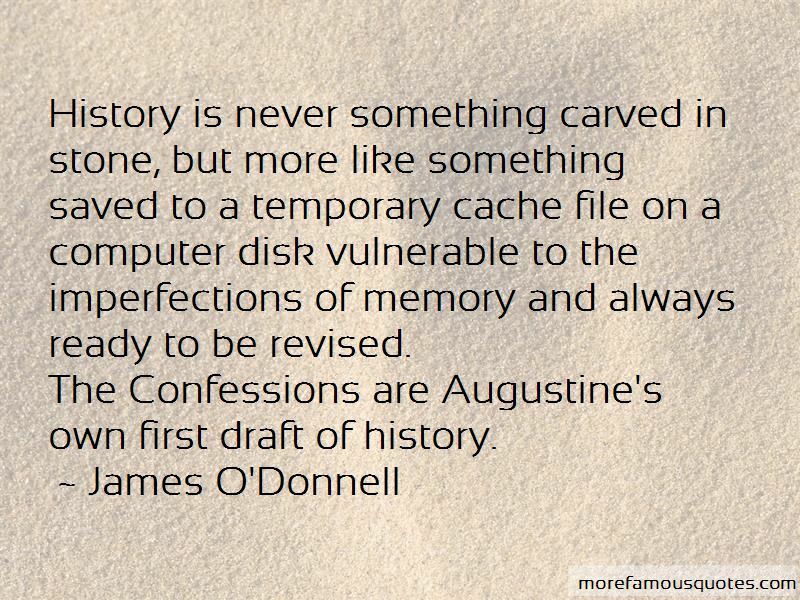 “History is never something carved in stone, but more like something saved to a temporary cache file on a computer disk vulnerable to the imperfections of memory and always ready to be revised. Want to see more pictures of James O'Donnell quotes? Click on image of James O'Donnell quotes to view full size.